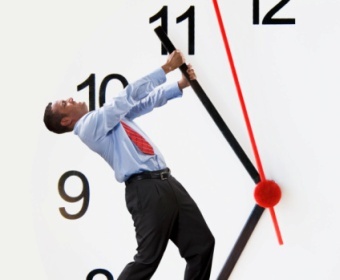 ASPEN, Colo. -- It's one of the most common complaints in the professional world: too little time. Workers who log 60-plus hour weeks gripe that they don't have enough room in their schedule to even tame their inboxes, much less think about big projects in some creative way. But time isn't the problem, says Harvard economist Sendhil Mullainathan. The ultimate barrier to success is a shortage of mental "bandwidth," or the ability to focus on a task in the moment. Mullainathan's research focuses on scarcity, and how humans respond when they have a shortage of something -- be it money, food or time. He presented his findings Thursday at the annual Aspen Ideas Festival, along with his research partner, Princeton psychologist Eldar Shafir. What they've discovered is that shortages lead people to make poor decisions. That's because the brain can only process so much. The problem extends across income levels. Busy professionals fail to schedule their time in efficient ways for the same reasons low-income people fall for predatory lending schemes. They're distracted, Shafir says. Take an example from your own life: If you're thirsty, and desperately want water, it's hard to think about anything else. If you're low on money, budget concerns frequently pop into your thoughts. The same is true in the professional world. A lack of time isn't the issue; a lack of focus is. Mullainathan's own productivity breakthrough came when he dropped his cellphone in a toilet. That night, he went to dinner with friends, and found he had a surprisingly fun time. His friends didn't get more interesting. The food wasn't better than usual. What changed was that he didn't have his phone. That meant he couldn't receive potentially bothersome emails or text messages before or during the meal. "My bandwidth for those two hours was focused on the thing I wanted to be focused on," he says. Since then, he's made other changes. He no longer receives work email on his phone. Before a meeting, he tries not to get to check email, so he's focused on the discussion ahead. And he's come to a realization. "All those times that I thought I was using my time well -- 'Hey, I've got five minutes, let me check my email' -- I was actually using my bandwidth badly." Mullainathan concluded by urging the audience to think back to Henry Ford. The automaker famously discovered in the early 1900s that, by increasing his employees' schedules to 60 hours a week, he could squeeze more productivity out of them. But that burst of productivity lasted only about four weeks. Over time, the workers putting in 60 hours a week began producing less than their counterparts who worked 40 hours. The people working overtime lacked "not just the ability to work hard, but the ability to actually think hard about the problem," Mullainathan said. The lesson for professionals: Having precious little time doesn't matter. Spending quality time with it does.